MON-THURS 12:00PM-10PM, FRI & SAT 12:00PM-11:00PM, Wineshop, 438 E 9th st. NY, NY. Molecule Water Cafe, 259 East 10th St. NY, NY. 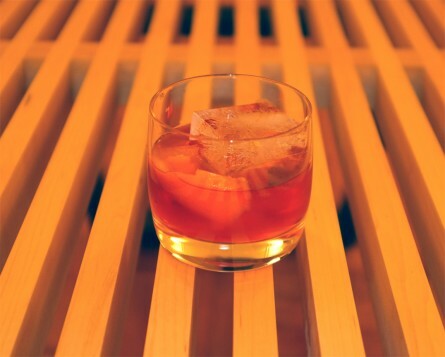 I love this drink — it’s perfect for this annoying period between winter and spring — the rye whiskey brings you deep, spicy, dark tones to keep you warm on frosty days like today; the aperol brings you bright citrusy orange notes reminiscent of spring, and the sweet vermouth balances it all out — a drink for keeping you snuggly in the winter months while giving you hope that any day now you’ll be sunbathing in Prospect Park.